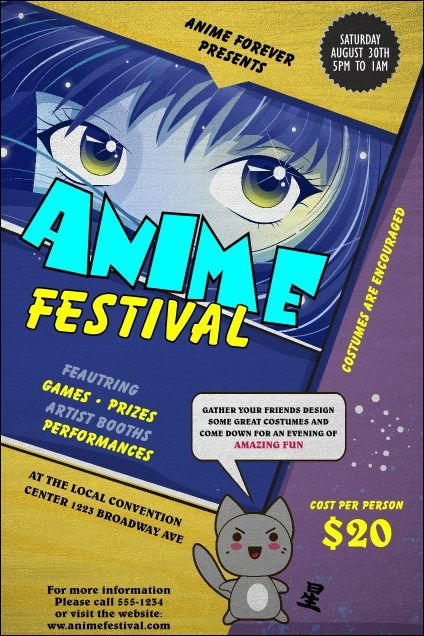 Create a buzz around town and post the Anime Poster in advance. Bright shining eyes draw the attention of passers-by, with a cute illustrated creature announcing important details. Pair with tickets, flyers, and invitations in a Matching Event Kit for coordinated promotions. Animate your world with the right design from TicketRiver.com.au.